Newcomer Family Obituaries - Michael J. 'Mike' Bielz 1953 - 2018 - Newcomer Cremations, Funerals & Receptions. 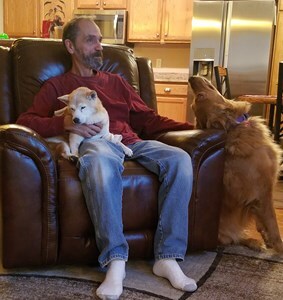 Michael J. Bielz, Sr., 65, of Castle Rock, passed away December 3, 2018. He was born November 11, 1953 in Cleveland, Ohio, the son of John and Ilse (Schindler) Bielz. Michael was a graduate of West Tech High School. On February 14, 1980 he married Linda Kocis, in Aurora, Colorado. Michael was the owner and operator of CMS Flooring for over 30 years and took great pride in his work. Michael was an avid sports fan. Being from Cleveland, he liked the Cleveland Indians and the Cavaliers. After moving to Colorado in the early 70's, he became a Denver Broncos, Avalanche, and Rockies fan. Michael also enjoyed bowling, fishing, golf, and gardening, but above all else, he enjoyed spending time with his family. Michael is survived by his wife, Linda; three children, Mike (Denise), Candace (Robert), and Stephanie (Jessie); sister, Kathy (George) Tecca; four grandchildren, Anna, Tyler, Pierce, and Seth; two Nieces, Laurie (Dale), and Christine; nephew, George, Jr; and long-time best friend, Pat Kelly. He is preceded in death by his parents, John, Jr. and Ilse Bielz; and an infant brother. In lieu of flowers, memorial contributions may be made to the American Cancer Society or to the charity of your choice. Add your memories to the guest book of Michael Bielz. I never thought that we would drift so far apart. Time and our careers kept us busy while our families grew. I enjoyed the short visits that we did have and treasure the memories. So many years gone by and so many special occasions missed. I never thought that you would be the first to go but the urgency in Candace's text told me that all was not well. I'm glad that we had time for our talk. There were too many words left unsaid. I think that you waited to contact me so that I wouldn't see how sick you were. I've enjoyed my visit here but wish you were here too. It has been great reconnecting with Linda, Mike, Candace, Stephanie and their families. As we decorated the house and tree and took a group picture by it we could feel your presence. Planning the service for your funeral was difficult but we all pulled together to get through it. We think that it suited you, a simple man who loved his family and ALWAYS did his best. RIP Mike and continue to watch over those you love from above. May all those wonderful memories of Mike bring you comfort during this hard time in your life. Look back on them and smile. Mike was a great man. He will be truly missed and will always be remembered. Our hearts & prayers go out to all of you. You touched so many lives over the course of your life, but most of all, you touched our family. You always made sure we were all taken care of in every way possible, always putting us first. Though you never said it, we all know you loved us from the bottom of your heart. Memories, we've made a lot, but so little. Cancer took you from us way too soon. You fought until you could fight no more. You are truly missed. R.I.P dad, I love you! !